OpenSUSE 10.3 final is due out in just a few days, so let's take a look at the progress. Folks have been testing this release candidate and posting their thoughts here and there. My own testing was delayed primarily due to the some of the joys of running Gentoo fulltime, but I was finally able to devote my full attention to openSUSE 10.3 RC1. As per my usual, I downloaded the DVD iso delta. This time it was 422 MB. I don't usually test everything with these developmental releases, but what I have tested is looking good. The only thing I spotted new during the install phase was the names of some of my devices had changed, such as my sound and wireless chips, hinting that some work had been done to the hardware database. My sound still functioned, the modules used were the same, so perhaps it was just more precise naming. My winnic shows up during install, but I still have to wait until I can install and use Ndiswrapper. Once that is installed, I can edit the device in Yast2 and configure it to use ndiswrapper in the module textarea. Then my wireless device is available at boot. Well, I did notice that the release notes had been updated and are being completed for the final release. The first new thing mentioned concerns the text install. It says its scope is limited, so you'll really need to go through the package selections to have a more complete system besides a minimal install. Also, it now warns users that Gaim has been replaced by Pidgin and users are given another route when trying to install onto disks with more than 15 partitions. Now we can switch to a virtual console before the partitioning step and issue the command activate_dm_linear /dev/sdaX. I didn't test that option this release, but I probably will for my final review. Another new topic is the change from cryptoloop to dm-crypt and its ramifications. mDNSResponder is now replaced by Avahi. And finally there are some instructions for those using older Intel graphics for a new default driver change when upgrading if they wish to use some of the more advanced options. All the rest we've covered before. Since I couldn't setup online update sources during the install and I hadn't had much luck with previous betas, the first thing I tested was the Online Update Repository configuration and Update tool. This time it worked really well. In fact, one of the advantages of having to wait a few days before testing is that there were several updated packages available - one of which was a new kernel. Some others were kmps and glibc. I updated all the packages as recommended and rebooted when told. The system booted into the new kernel without much notice from me. The Grub menu had been updated to reflect the new kernel, but that was only real sign. The significance being this is the way it should be. I shouldn't be confronted with a Grub screen with a lot of dead links, a system that no longer boots, or hardware that no longer works. Kernel upgrades are still one of the areas that gives users a feeling of dread, but perhaps those that use openSUSE can be spared that. The only problem that developed was the disappearance of the update applet icon after logging out of and back into KDE. It remained in GNOME. Next I tested the Software Manager. This release I didn't change the default software selection during the install, so I installed many packages afterwards. First was the small task of installing Ndiswrapper, but later came the bigger task of installing the GNOME and XFCE desktops and the KDE 4 base system. All installed without error or incident, most from the DVD but two from the online updates repo. Speaking of GNOME, this release candidate ships with 2.19.92, but the final 2.20 has since become available here 2.20 will be included in the final. By default openSUSE included several games and a couple of applications from the KDE 4 line-up. They all looked great and worked well as far as I could test here. Installing the KDE 4 base system puts a KDE 4 Preview option into the login manager menu. This release I could actually get into the environment and look around a bit. The menu didn't work for me, but I was able to right click the desktop and launch an app or two. In the upper left corner of the desktop is a Desktop Toolbox widget that I suppose will have lots of desktop configuration and functionality options, but now it will launch the analog clock, system tray and taskbar. These appear as widgets on the desktop. The clipboard is in a window right now. Dolphin is launchable from the Run Command box and it seems to work fairly well. Basically, preview is precisely what it is. It's not usable, but it was my first look around. It will whet your appetite, but it still makes one wonder if KDE 4 will even be ready for Christmas. Also new in this release is the extended multimedia support. By support I mean, for example, if you try to view a site or watch a video a dialog box will appear asking if you'd like to search for suitable codecs. Click yes to open a browser at software.opensuse.org where suggestions are made and ymp file is offered for the KDE or GNOME environments. Click on this file to open a wizard similar to the software manager through which additional plugins and codecs will be installed. This includes several such as java, flash, and the win32codecs. This is kind of nice, but I think the developers should write this to spare the users of having to use the website. Just click yes to download the ymp file would be much more convenient. * 32bit PPC machines have a problem with dependencies that try to install 64bit RPMs. I did find that suspend to disk still worked really well, but suspend to ram was broke. * Proofread English texts; thanks to Jana Jaeger. * Support the "quote" tag. - Added support for gutenprint, discarded the old libgimpprint module. - Fixed background resetting in /usr/bin/gnome (#309946). - added "stable" 6.6.3 ATI driver; available as "radeonold"
++++ lots of kernel, yast2, and zypper work. ++++ Full Changelog since Beta 3. As you can see, at this late point most of the packages have only jumped in internal openSUSE tiny versions. So, all in all, I think this release candidate is just about there. openSUSE 10.3 seems to be shaping up quite nicely and the only problem I had was with the disappearing update applet icon in KDE and the suspend to ram. I am looking forward to the final. It will be the best openSUSE yet. 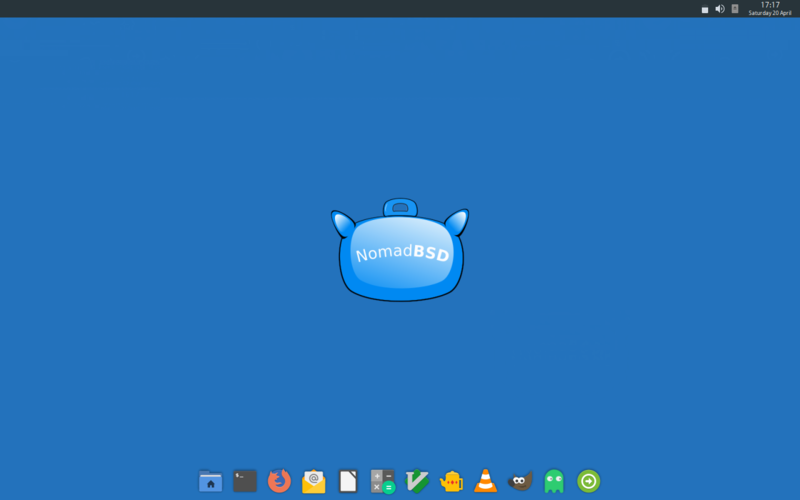 An internal RC2 was integrated into the schedule to test the new GNOME, but there have been no announcements concerning any changes to the planned public release on October 4 as of yet. When available I will test the upgrade functionality first, then perhaps the >15 partition option, and a nice clean install. I think I will also start with a fresh download as opposed to a delta. Until then, happy testing. Submitted by eco2geek on Thursday 27th of September 2007 05:15:38 AM. I installed RC1 on my old test box, and for the first time in about three releases, it not only found and configured my network card properly, but was actually able to download updates before the installation was finished. The "online update opens an annoying popup with the progress" bug was there, but it did, as advertised, go away after an update. One thing I thought was really cool about this release was that there's an applet in YaST for adding community repositories (such as Packman and Guru, and specialized Suse repositories), meaning you simply check a box instead of having to find the URL and add it manually. Nice touch. Another cool thing about it is the "one-click install" mentioned earlier. If you want to get the "restricted" codecs, all you have to do is open this web page, click on "codecs-kde.ymp" (for KDE), let Suse's software manager handle the "ymp" file, and then follow the prompts. Software management using YaST also seems quicker and less clunky than in 10.2. Maybe people won't feel the need to switch to the Smart package manager. The one thing that seems to be missing (or maybe I just didn't see it) is a system tray icon for compiz-fusion, similar to beryl-manager's. But ccsm is available on the menu. One thing I'm not sure I like is the "new" Suse wiki, and the new openSuse-Community wiki. Just put everything in one place, will you, guys? Submitted by glimpze777 on Thursday 27th of September 2007 05:37:43 AM. ROCKS wuuuttttt! keep it better and better! Submitted by eco2geek on Thursday 27th of September 2007 07:38:17 AM. Worse, there are a bunch of dependency conflicts to wade through, and I just installed it two days ago. If I was in Debian (or even PCLinuxOS, which, like openSUSE, is rpm-based), I could simply go to a console and type "apt-get update && apt-get dist-upgrade" and it would all be taken care of, dependency resolution included. OTOH, openSUSE's "zypper" command-line tool will update all available patches, but new packages have to be installed one by one. Submitted by apokryphos on Thursday 27th of September 2007 09:40:04 AM. Or you could upgrade them all in YaST, or now you could even use openSUSE updater. Just right-click on the system tray icon -> configure -> "show available upgrades". Stay tuned to news.opensuse.org for more on this. The reason Debian-based distributions just have apt-get upgrade is because they don't even support anything like RPM patches, so they force package upgrades (which isn't ideal when you need an updated kernel-source, certainly! ). Submitted by DJ_Gentoo on Saturday 29th of September 2007 07:11:19 PM. ...that I installed RC1 today, and it worked better than I was expecting. It still needed some manual configuration (all via YaST), but it detected my native screen res and wireless correctly, in marked contrast to my experience with Alpha 5. It didn't understand my WEP key until I rebooted, but here I am saying this. OpenSUSE has come across as an easy-to-use, laptop-friendly distro with only a few occasional bugs, and I'm starting to really like it. My biggest gripe is that the Kickoff menu's tabs need to be clicked (instead of switching when moused over, like they're supposed to), and that Geeko's eyes no longer follow your cursor. Again, minor bugs. Also, this is the first time I've used the open-source iwl3945 drivers, and they work. I had issues with them on Fedora 7, but that was an older version, and now, they're stable enough for the average user. Talk about progress.